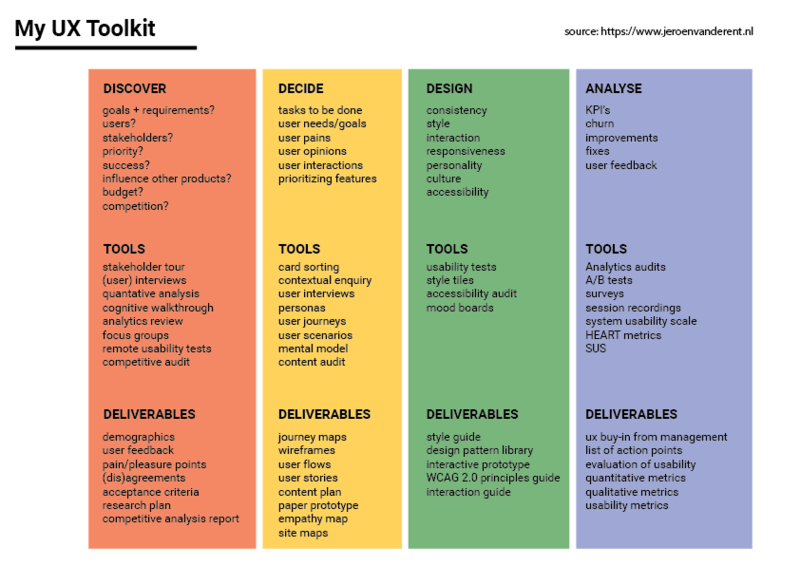 An overview of the different phases in my UX Design process and the tools that I use to create deliverables. Sometimes these phases will overlap each other and I will use the tools according to demand and when applicable. Tools: method or resource to reach the goal in that phase. Deliverables: the assets that will be delivered after using a tool in that phase.